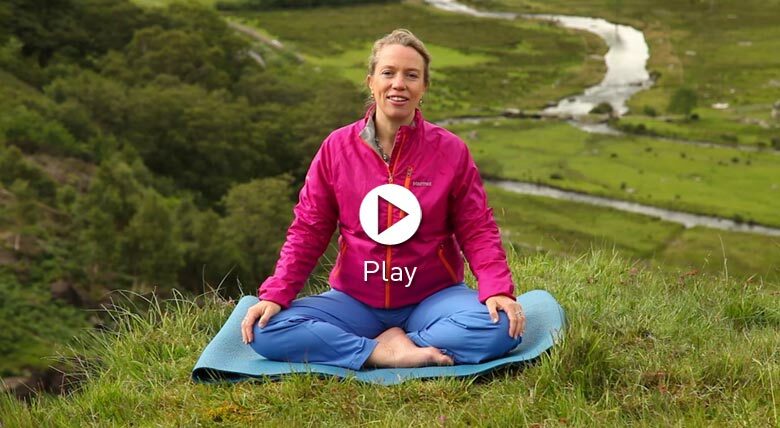 Join Jane for this short meditation, filmed in the beautiful surroundings of the Snowdonia National Park, just up the valley from the Dru Yoga Centre. Use this meditation to help you to let go of difficult emotions. It is perfect to use at the end of a busy or stressful day as its purpose is to gently guide you back to a state of calmness and peace. Starting with a hand gesture (mudra) the mudra of letting go, breathe in, focussing on light coming into the lungs, then exhale to release any unwanted or heavy emotions that are not allowing you to respect and appreciate yourself. Today's meditation for letting go ends with the mudra of courage. It invites you to step forward into the future with courage and joy. Ask for peace of mind and courage to fill your heart. So simpleyet so eeffective. Thankyou Saraswati! A combination of powerful visualization and compassion. The mudra played a beautiful part of letting go. Thanks so much for such a lovely way to move forward with courage. Thank you Jane. Great for end of day when things have got a little chaotic and tense at work. Perfect for me today. Thank-you.